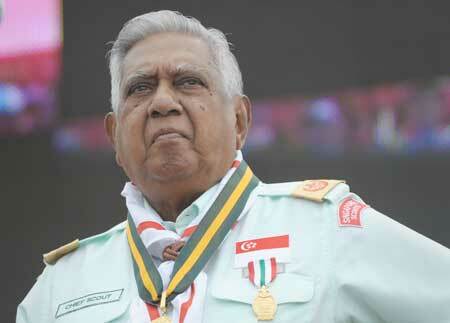 Scouting in Singapore has a rich history having been around for over a century. It started on 2 July, 1910 when Frank Cooper Sands (F.C. 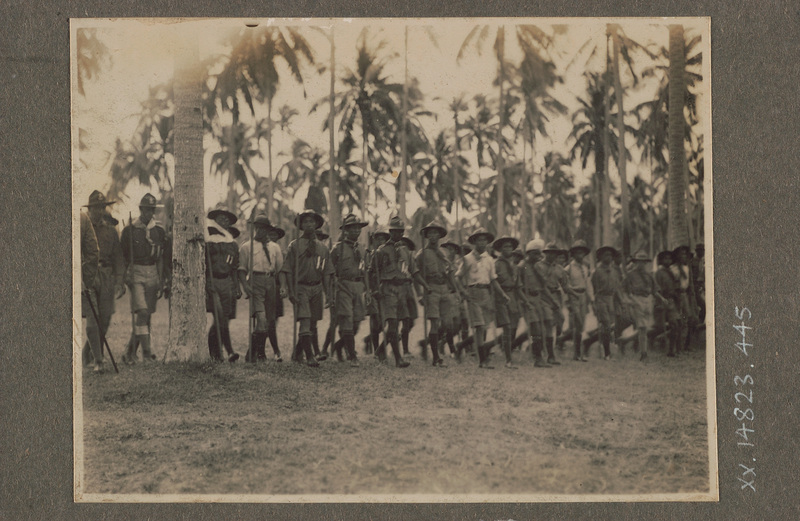 Sands), a scoutmaster from Nottingham,UK, opened the 1stSands Troop, consisting of 30 boys under the sponsorship of the Young Men’s Christian Association (YMCA) that also served as the first headquarters. 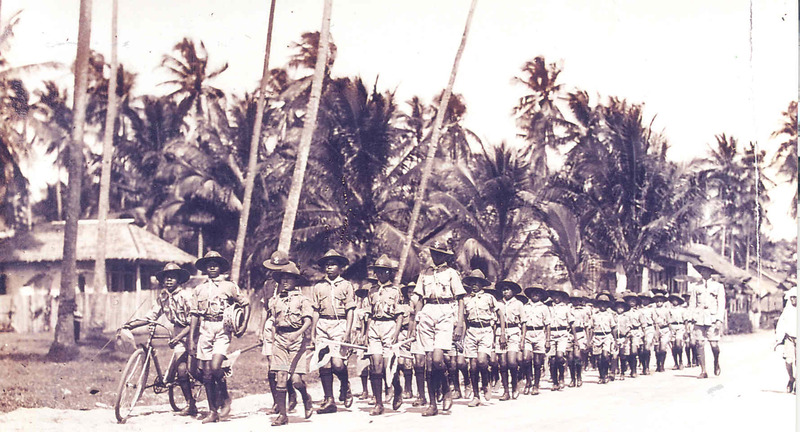 For the next forty years, F.C Sands would continue to build the Scouting Movement and increase its reach into the Malaya areas, hence earning the unofficial title of ‘Father of Malayan Scouting ‘. 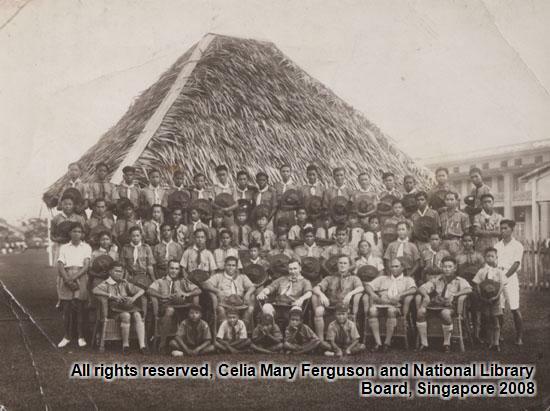 Scouting in Singapore was initially opened only to British boys up till 1919 when the first Malay troop, the 5th Singapore (HQ Malay) Troop was established in Victoria Bridge School (now known as Victoria School) . 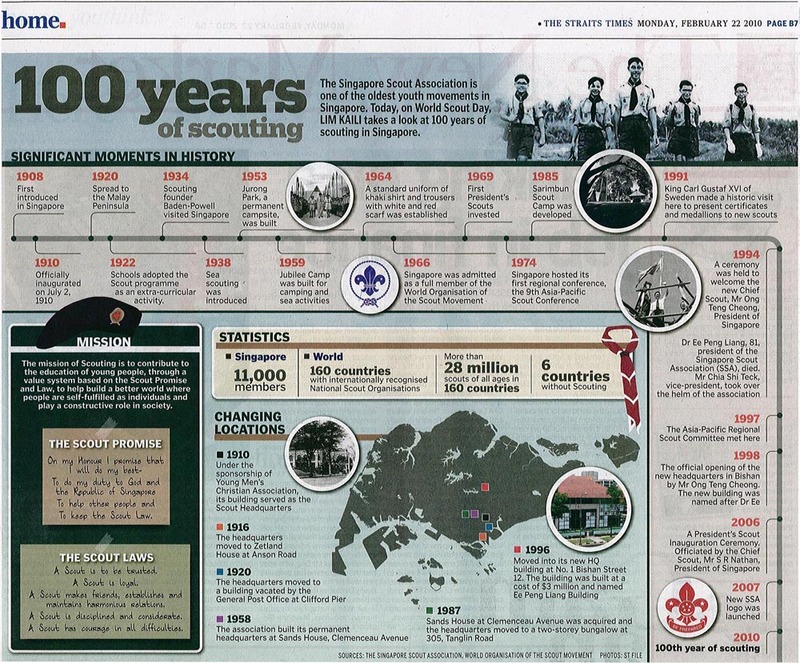 This troop paved the way for the growth of scouting and it’s establishment as being the oldest extra-curricular activity (ECA) in Singapore schools as of 1922, when the 02 Raffles Scout Group, 03 Anglo-Chinese Scout Group and 04 St Joseph’s Institution Group were formed. This is a photograph from E. A. Brown’s collection. It depicts a picture of a boy scout standing in front of a tent. This is a photograph from E. A. Brown’s collection. It depicts a group of Scouts having their photo taken. Behind them is a small hut with an attap roof. 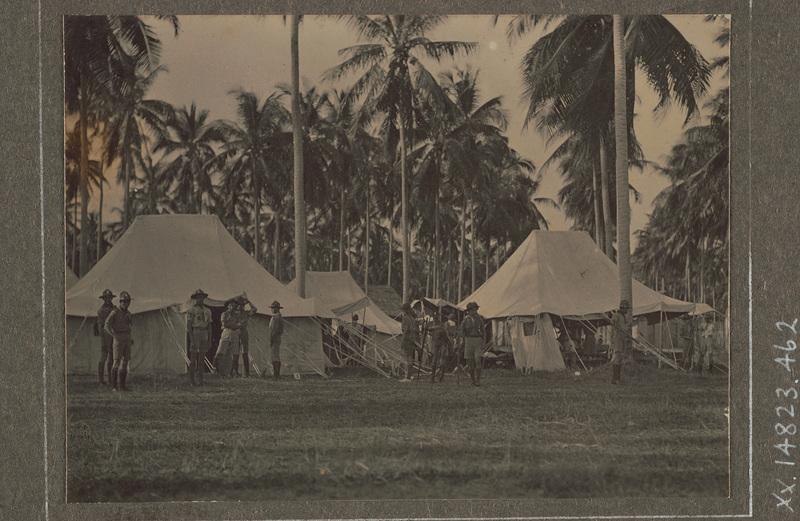 This is a photograph from E. A. Brown’s collection. 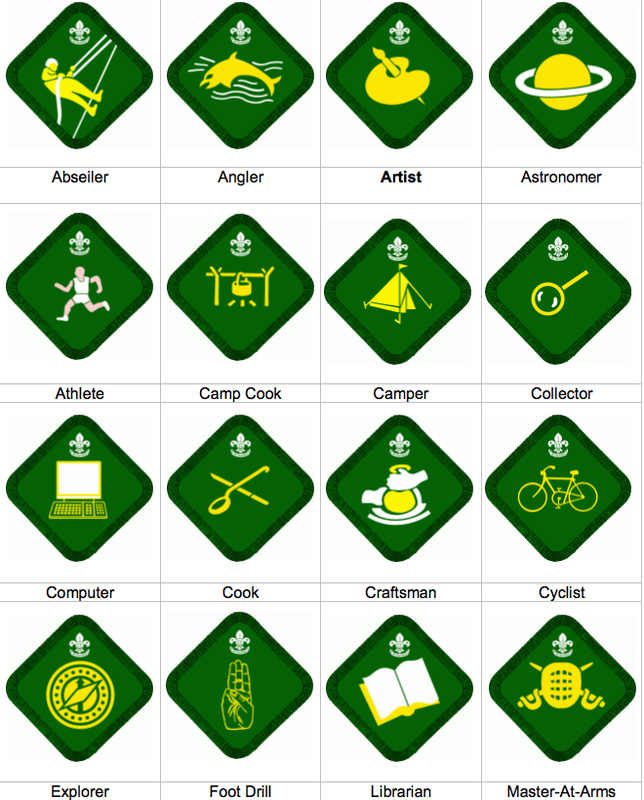 It depicts a group of five scout instructors demonstrating how to cook in the outdoors. 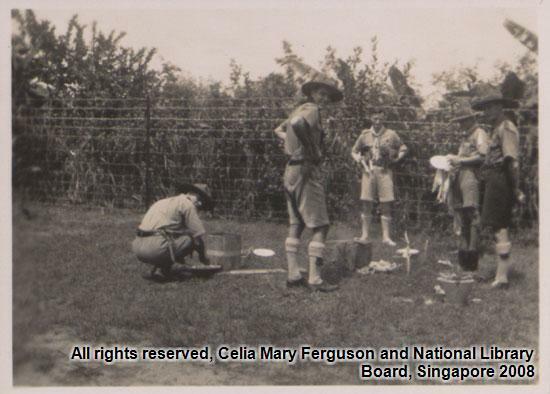 Faced with many an adversity from two World Wars, Scouting never waned in Singapore largely because of the continued British influence in both Singapore and Malaya up till 1959, and Singapore’s presence in International Scouting programmes like the‘ Coming-of-Age Jamboree ‘ held at the Singapore Stadium in 1929. 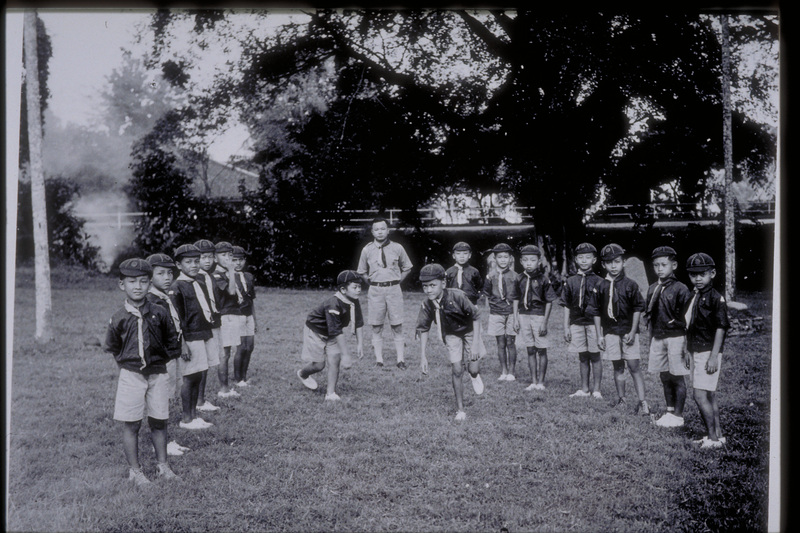 This photograph is from an album by Lim Lam San. Lim, then a teacher at Telok Kurau English School, was an avid amateur photographer during the 1920–1930’s who concentrated on capturing scenes of everyday life. 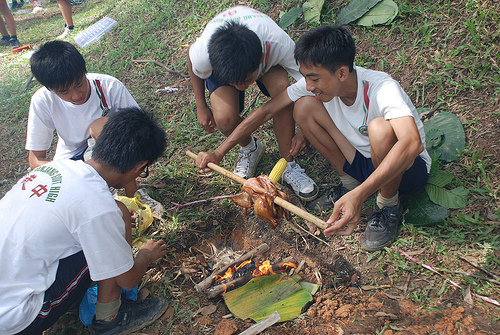 Singapore’s untapped natural surroundings, kampung living and general livelihood up to the 1980s also meant that the fundamental outdoor scouting skills like starting a fire, tying knots, building structures and learning to fish, were more or less essential life skills that appealed to many a student and parents over the years. Discipline, leadership skills and the idea of a Government endorsed school led activity were perhaps also factors in helping parents to keep their kids off the streets and participating in more constructive activities. Scouting also thrived as a way of life beyond schools, with more senior groups like the Ventures (16-18 years) and Rovers (17-26 years) forming up to continue and pass on the principles and teachings of scouting to their juniors as the years went by. Many leaders of Singapore including former PM Lee Kuan Yew and Goh Chok Tong, former President’s S R Nathan and Ong Teng Cheong, as well as theatre playwright Kuo Pao Kun, took up Scouting in their days, and have mentioned over time how it instilled them with the values and life skills that made them relevant leaders in their own right. 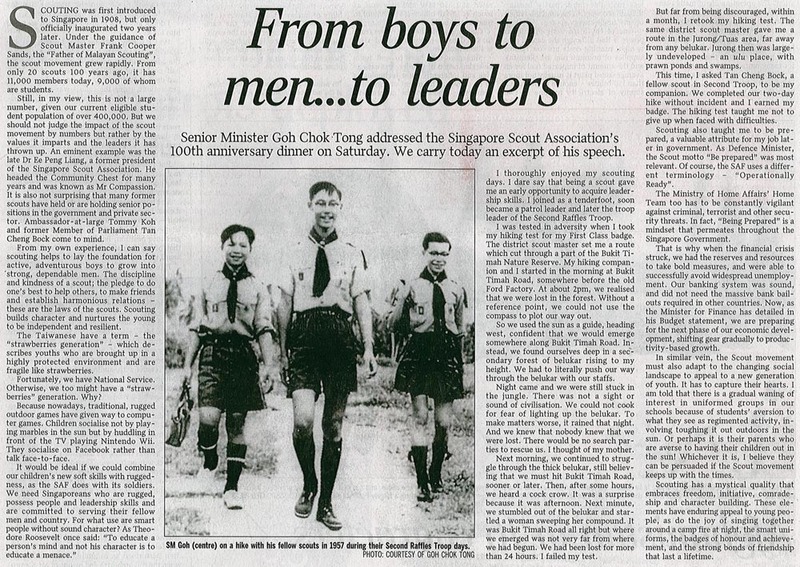 The article below by Emeritus SM Goh even mentions how he and 2011 presidential candidate Tan Cheng Bock were Scoutmates. 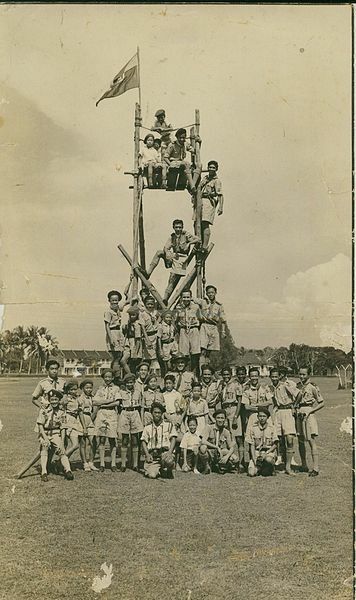 1952- Singapore scouts went on the 1st Job Week to raise funds to subsiside the 1st contigent overseas to participate in the 2ndPan-Pacific Jamboree in Sydney. Job week would become an annual affair for the years to come with the contributions dedicated to running the association and helping the needy. Job week continues to be an important annual event. 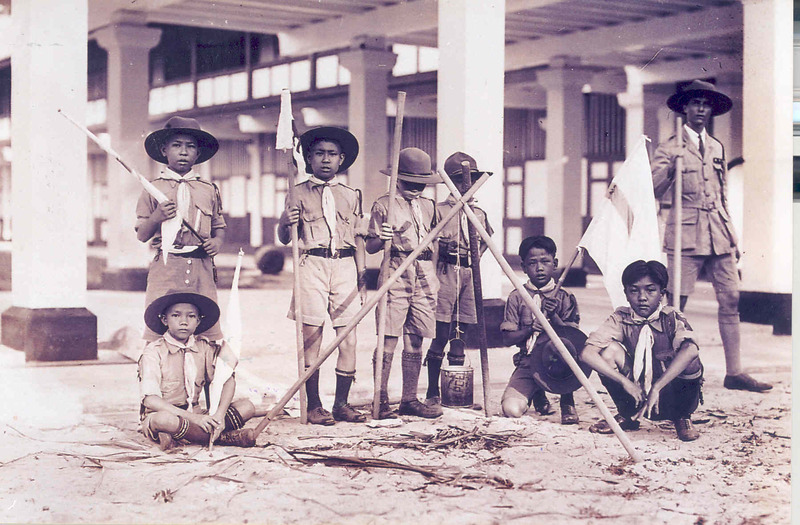 1959- Sands House at Clemenceau Avenue becomes the first official Scouts HQ. 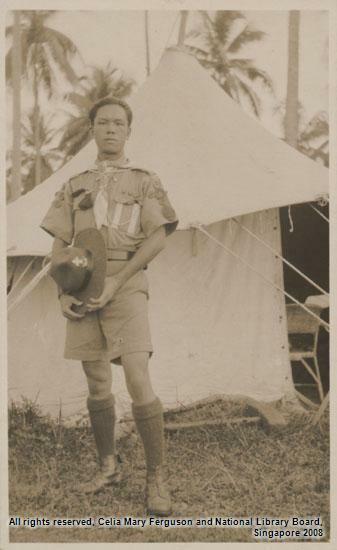 In the same year, Yusof Bin Ishak, President of the Republic of Singapore became the 1stChief Scout of Singapore, a tradition that would be passed on to all future presidents. 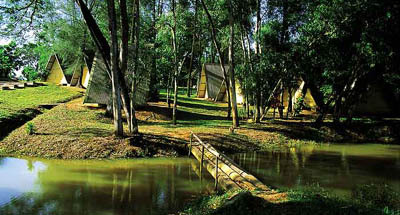 1966-Sarimbun Camp. A 27 acre campsite at Jalan Bahtera, off Lim Chu Kang Road, was leased to create a suitable campsite for scouts by the government. 1995- The Frank Cooper Sands Award is created to award sectional scout units for unit excellence annually. 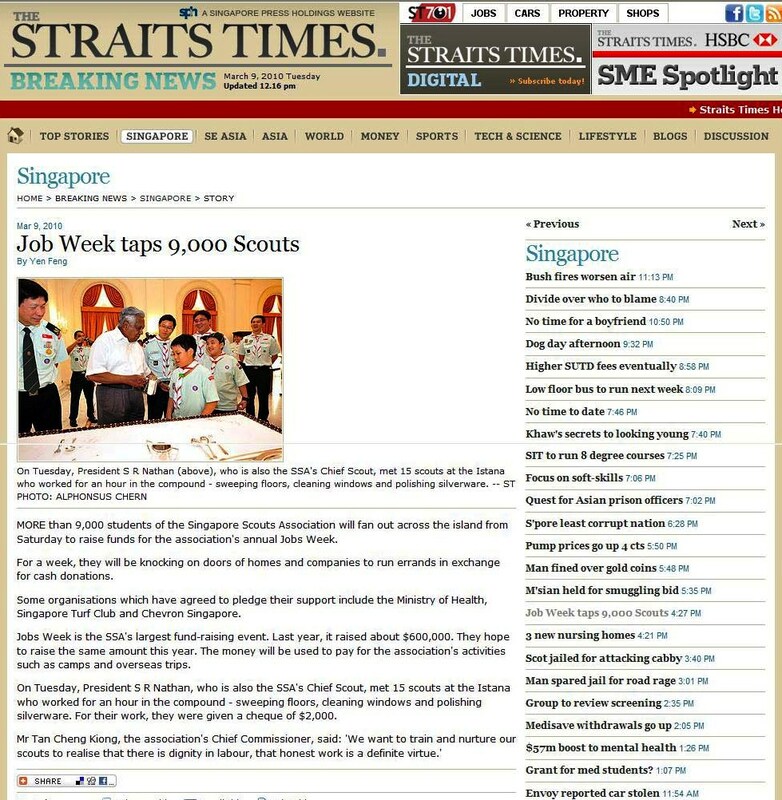 1996- The Singapore Scout Association moved to its current premises at Bishan Street 12 on Sep 2 1996. In today’s social and educational context, combined with the rise of technology, the relevance and lessons of Scouting have no doubt dwindled together with the numbers. Yet ask any one, including myself who has been a scout and they will easily tell you the joys, skills and bonds that were established as part of a Scouting Troop. If you want to know more about my personal life as a scout, do stay tuned as it’ll be an entry i’m posting next. 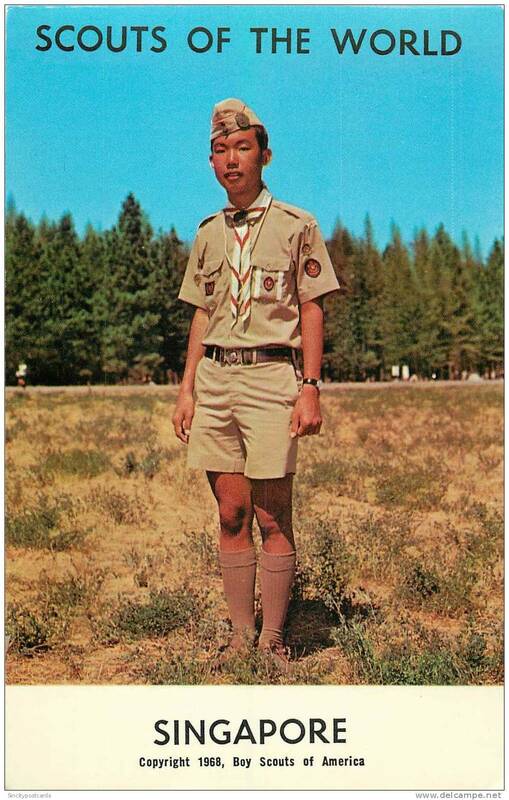 Are u still involved in Scouting these days?